Remote access to a home computer is extremely helpful as it can make you work easier. While you are at home you can access files from remote computer from your workplace. 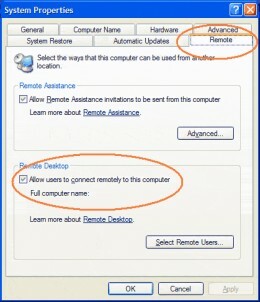 The process of remote computer access can be easily performed in Windows xp And Windows Vista. Once you set up your remote computer access you can easily see your files and other data from other computer. 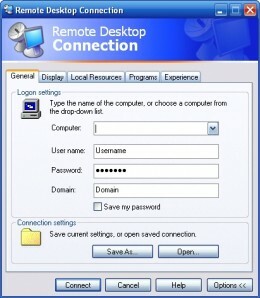 There are many softwares to access remote computer but you can use windows inbuilt function Windows remote desktop to get access to your work computer. Remote access computer can be done over a network, Internet, LAN or phone lines. must be in a network which allows Remote Desktop.In this case we can call the computer as host. 2. Remote computer should have Windows newer version for better connectivity. Computer in this case is called as client. 3. Both computers must be connected to the internet through a VPN Connection. Right click on My computer and select Properties. Click the remote tab. Now there is an option for Remote desktop. Select Check box for Allow users to connect remotely. Create an Exception in the windows firewall via security center for Remote desktop so that Windows firewall should not stop it. Open Windows firewall and Unselect Don't Allow Exceptions. Now go to exceptions tab and select Remote Desktop. Now the host computer is ready to allow remote access to another computer. Remember your computer name. You can see it in the computer name tab in system properties. On your home computer Go to Accessories and Select communication and click on Remote desktop connection. Now it will ask for computer name. Type the computer name of the computer you set up previously. When the log on to Windows box appears. Type your credentials and then hit enter. Once it is successfully connected you will be able to see your files and programs located on the other computer.Host computer remains locked until you go and shut it down.Make sure no body else take the plugs off. To end windows remote access simply log off as normal and you will be able to return to the computer you are sitting. This is same procedure you should follow. All these steps required that you should have the administrative privilages. 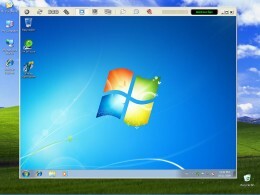 Remote desktop control software allows you to view the desktop of the remote computer and with the help of the software you can even control it. Here are some list of softwares which are use to gain access to a remote pc. Some of these softwares are freeware and others are shareware or you should buy before you use them. It's easy if you follow that step-by-step procedure. Good thing you shared it to us. Thanks.